Live wisely. Get healthy. Save money. Be your best self. Here are some simple choices that do all of the above! 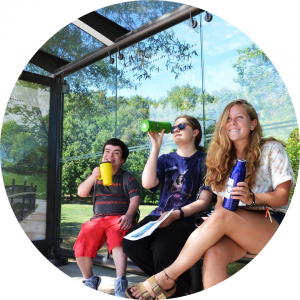 Remember your reusable mug, bottle and bag, keep it with you, in your room/office or in your car. Say no to a plastic bag and plastic straw. Learn how to recycle and compost and make it a habit. Takes those two extra seconds and take pride in knowing you are reducing waste, protecting the environment, saving money, and choosing to live a healthier and more efficient lifestyle. 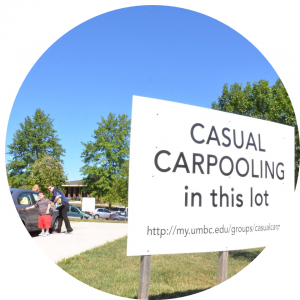 Sign up on ZimRide to find a carpool buddy that goes to UMBC at the same schedule as you- even if it's just a couple times a week. Snag that sweet carpooling parking spot. Try the UMBC transit shuttle or test run the bike share. Try something new, meet new people, and step out of your comfort zone. Save money on gas while reducing pollution and congestion. Make the world a better place. 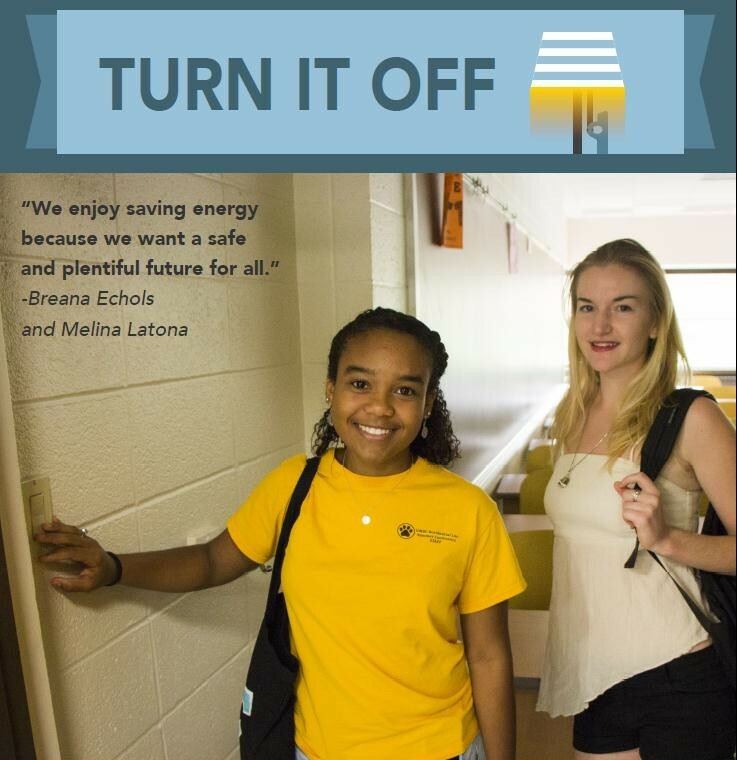 Stay mindful of your energy use. Turn off lights when you leave a room. Set your computer to automatically hibernate. Turn down the heat and put on a sweater. Save money. Take responsibility of your impact. Improve air quality by burning less fuel. Choose efficiency and conservation. Volunteer. It boosts both how you feel, and your community. 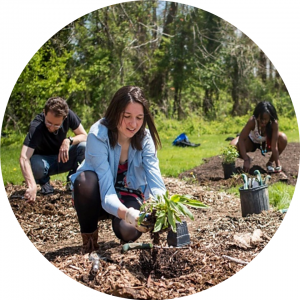 Whether it's pitching in at UMBC's community garden, doing a stream clean up with UMBC's Environmental Task Force, or collecting food to donate with UMBC's Food Recovery Network, getting involved means meeting new people, doing something active, and giving back. Take the shuttle to the Catonsville Farmer's Market and pick up some new veggies to try out. 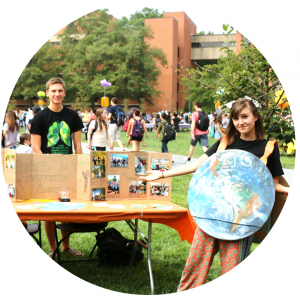 Go for a meditation hike and explore UMBC's trails. Learn how to make your own DIY natural cleaners or how to garden with UMBC's Wellness Initiative. I'm excited for a new year, new possibilities, and new intentions. How do you plan to upgrade your lifestyle this year?